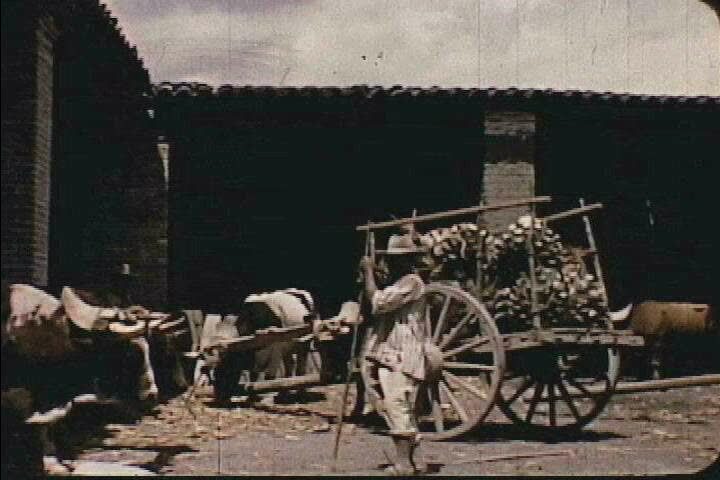 sd01:36CIRCA 1950s - Men and women work together to obtain industrial alcohol out of maguey trunks in Mexico in 1952.
sd01:02CIRCA 1952 - Maguey is dropped off and baked at a small Mexican factory which makes industrial alcohol. 4k00:131940s: Field. Smoke. Muddy ground. Man on tractor harvests crop. hd00:131950s: Man climbs onto tractor, drives past camera.